In today’s busy world, we’re continually searching for new ways to slow down and unwind. This has led more people to discover the calming benefits of gardening and how incorporating plants into decor provides a way to reduce everyday stress. Studies have shown that indoor plants clean the air by removing 87 percent of airborne toxins in 24 hours, and can make people more relaxed. In fact, the very act of planting and maintaining a garden provides relaxing stress relief in today’s busy world. With such pronounced benefits, there are many reasons people who live in crowded cities and spacious suburbs have taken up gardening. For a closer look, green industry experts at RISE (Responsible Industry for a Sound Environment) offer these five ways gardening can help you create a stress-relieving sanctuary at home. 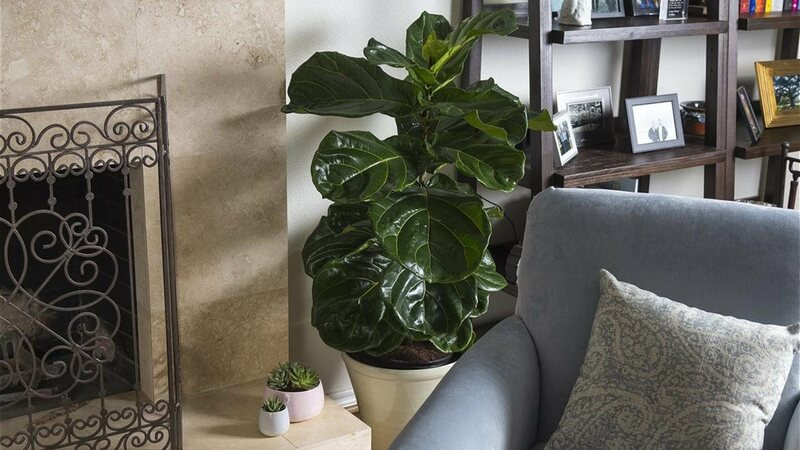 With large, waxy green leaves that look like a fiddle, the photogenic fiddle leaf fig adds a stunning pop of green to any living space. The trees thrive in bright to medium light and prefer room temperatures. Water them only when the surface of the soil is dry or when the leaves start to wilt; you’ll know your tree is happy when its leaves are perked up toward the sun. 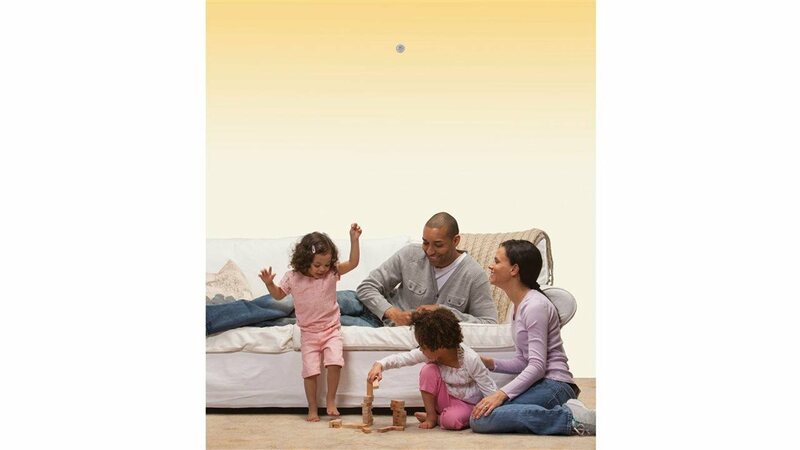 Caring for the tree energizes your mood and in turn, its healthy green leaves liven up your home. Home chefs and foodies alike know how important it is to have fresh herbs on hand. 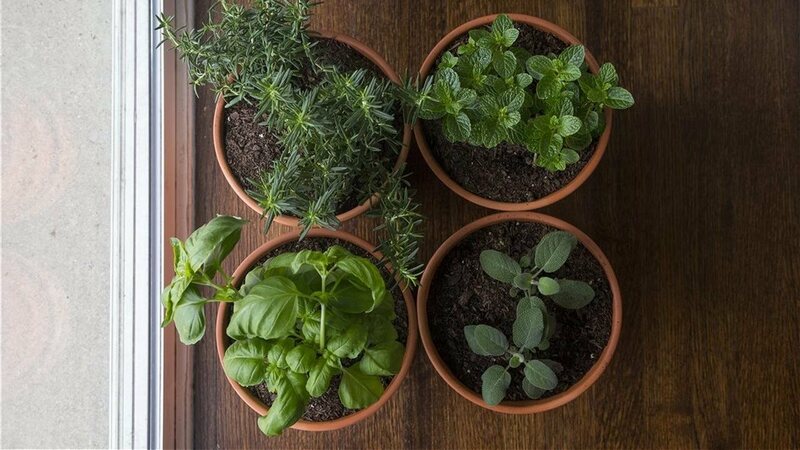 Rosemary, mint, sage and basil thrive in small terra cotta pots on your sunny windowsill. They not only add the finishing touch to a meal or a refreshing drink, but tending your herbs helps to relieve daily stress while enticing you to experiment with new healthy recipes featuring your homegrown harvest. Most people know about the medicinal properties in aloe vera plants. Most of us have slathered some on after getting a sunburn. In addition, they’re great for purifying the air. They can also serve as a monitor of air quality because they will display brown spots if something isn’t quite right. Aloe vera thrives in sunny spaces and at room temperature, so make sure to position it near an interior window to help maintain a healthy plant. Offices and cubes can be some pretty sterile spaces, which can make it hard to stay motivated or feel content during the work day. There are a million and one reasons for putting a plant in your office, and because you need to focus on the work at hand, you need a stress-free plant. When it comes to caring for a plant, it doesn’t get much easier than a snake plant. These beautiful plants grow in a wide-range of lighting conditions and at any normal room temperature. They offer a low-maintenance boost of zen, producing oxygen and, because sometimes you go on vacation, can go weeks without water. The dark leaves and curvy white blossoms on a peace lily are easy on the eyes and easy to grow. Perfect for those less-well-lit areas of the house, peace lilies thrive in shade and can withstand a variety of temperatures. Looks aside, they’re known for reducing both airborne toxins and mold, making them the perfect plant for bathrooms or other damp areas of your home. The wellness benefits of caring for and being around plants are endless. The next time you’re feeling stressed, spend some time in the garden or take a stroll through a park to enjoy the greenery and the natural comfort that comes with being surrounded by plants. To ensure they stay healthy and vibrant, visit www.debugthemyths.com where the experts at RISE offer more tips and advice on how to care for the plants in your garden and home.